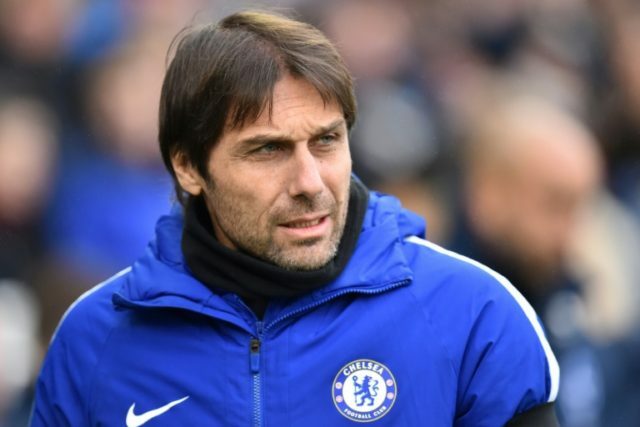 Brighton (United Kingdom) (AFP) – Antonio Conte’s sights immediately turned to next week’s League Cup semi-final second leg at London rivals Arsenal after his Chelsea side returned to winning ways in the Premier League on Saturday. The Blues’ 4-0 victory at struggling Brighton and Hove Albion –- their first win in 90 minutes since the turn of the year — drew a line under a difficult recent run that had seen Conte’s side struggle for goals. But while the Chelsea head coach was pleased his reigning league champions had returned to form with two goals from Eden Hazard and one each from Willian and Victor Moses, he insisted his focus was now on the possibility of clinching a place in a Wembley final. The scoreless first-leg draw at Stamford Bridge means the tie is evenly balanced and Conte said: “For us, it’s important Hazard, Willian and Moses all score. “But, from tomorrow (Sunday), every single player that scored today has to forget he scored and must try and score again against Arsenal. The Italian denied his side had been drifting towards a crisis after a run of five successive draws, the last of which came against Norwich City in the FA Cup in midweek and was settled with a penalty shoot-out. “Whoever said this has to pay attention to the stats,” Conte said. “We’re unbeaten in 14 games. “It’s normal that some people try to see the negative aspect and don’t see the positives. But this team, with many problems, are unbeaten in 14 games in every competition,” he added. Meanwhile Conte expected Andreas Christensen to be fit to face Arsenal despite the centre-back being replaced after suffering a blow to the head, with the substitution apparently encouraged by referee Jon Moss. “Andreas had a contusion,” Conte explained. “We made a substitution, but the player didn’t want to come off. “At the same time, when you have the possibility to have on the bench players like David Luiz, it was simple for me. The referee tried to force this substitution. It was a simple contusion. Chelsea were two goals up inside six minutes and while Brighton recovered well, missed chances and two rejected penalty appeals prevented them from getting a foothold in the game. Chris Hughton had unexpectedly dropped winger Anthony Knockaert from the squad but the Seagulls’ manager insisted he was unaware of reports the winger had left the stadium before the game. “I’m not aware (of Knockaert leaving),” Hughton said. “I did see Anthony just before the game, so I know he was here. Anything else I’m unaware of.